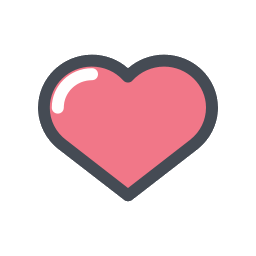 Medical aid increases well above inflation will hit members of medical schemes again 2019. 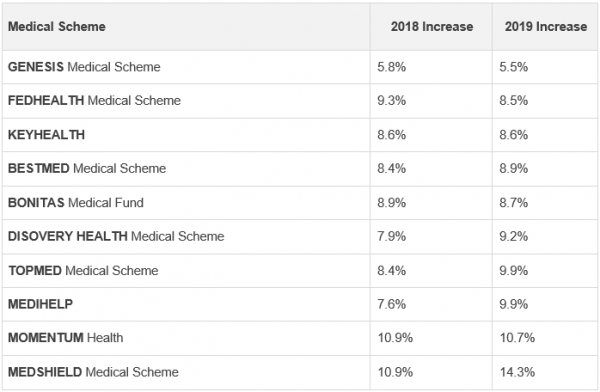 According to data published by the financial advisory group GTC, the average increase across medical aid schemes over the last decade has hit as high as 6.4 percentage points above inflation. While the average contribution increases announced by some of the bigger open medical schemes for next year is in the region of 10%, the good news for Genesis’ members, on the other hand, is that their increase will average only 5.5% - almost half of what members of other medical schemes may have to fork out. 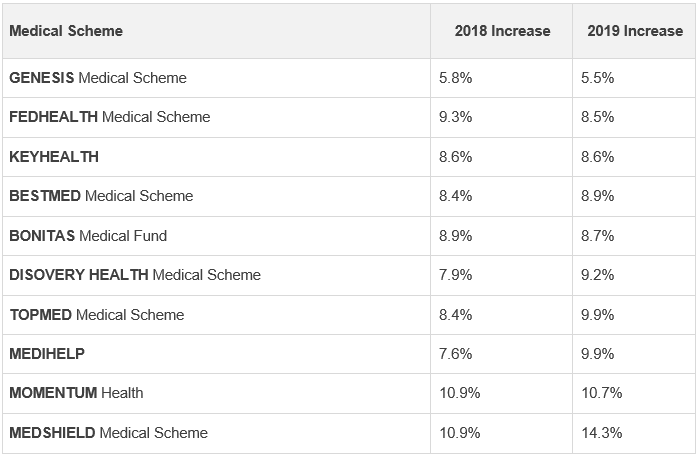 Not all the open medical schemes have announced their 2019 average contribution increases, but from data available, have a look at what the average contribution increases will be for 2019, as well as what it was for 2018, for those schemes that have published their increases. Thanks Ranger. Great to see the range of increases.